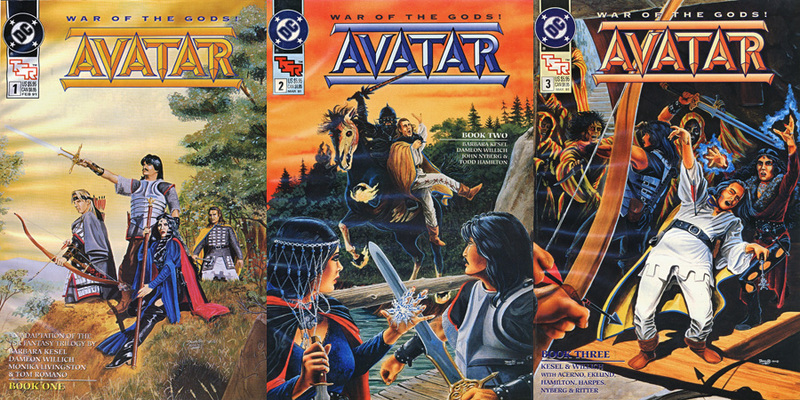 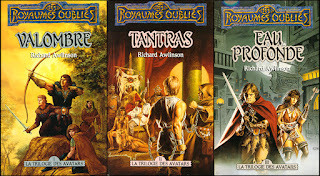 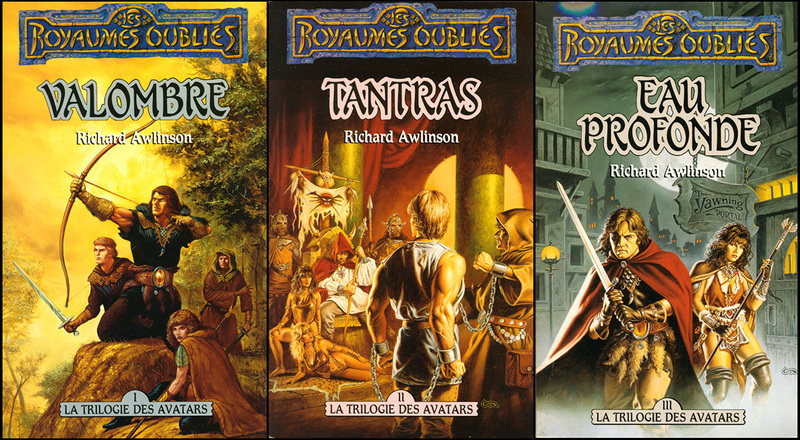 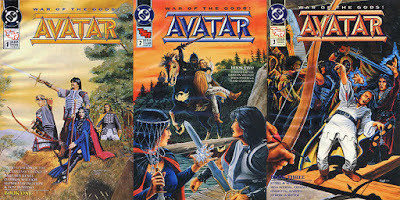 This 3 issues series is the comic version of the three 1989 novels composing The Avatar Trilogy written by Scott Ciencin (Shadowdale, Tantras) & Troy Denning (Waterdeep) under the shared pen-name Richard Awlinson. 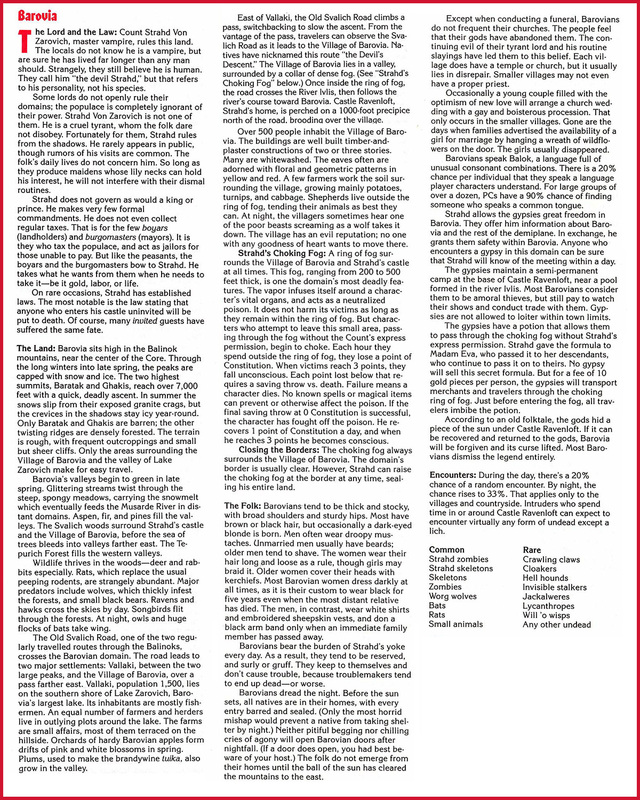 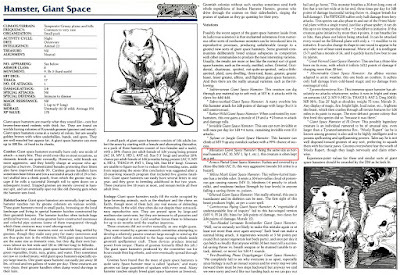 Letters : Elliot S. Maggin & Kim Yale (only credited in issue #3). 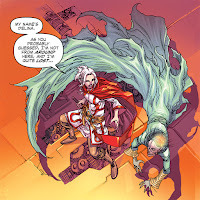 More on that, the drawing, instead of helping the narration, is some kind of melting pot of -let's say- audacious but badly-rendered and disharmonious artistic choices, which makes the whole a thick soup you have great trouble swallowing... 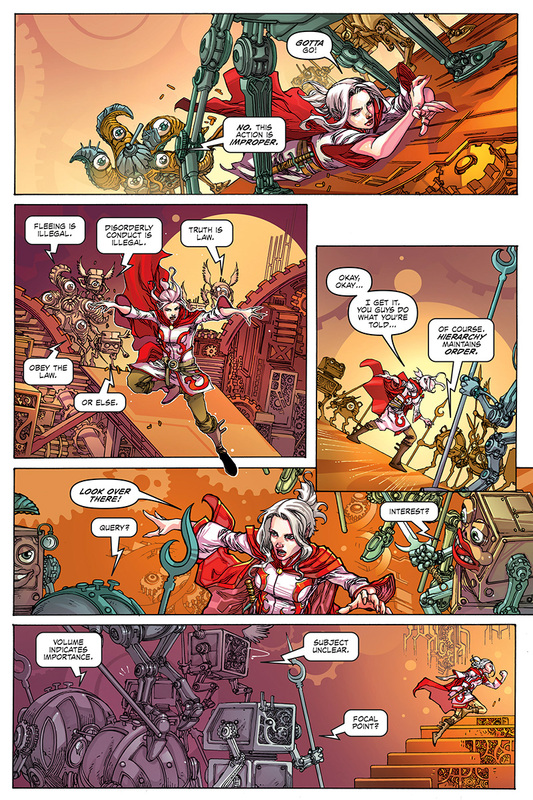 It also sometimes looks like a (basically) colored sketchbook... and the quality is not often there (and even being particularly awful at some point). 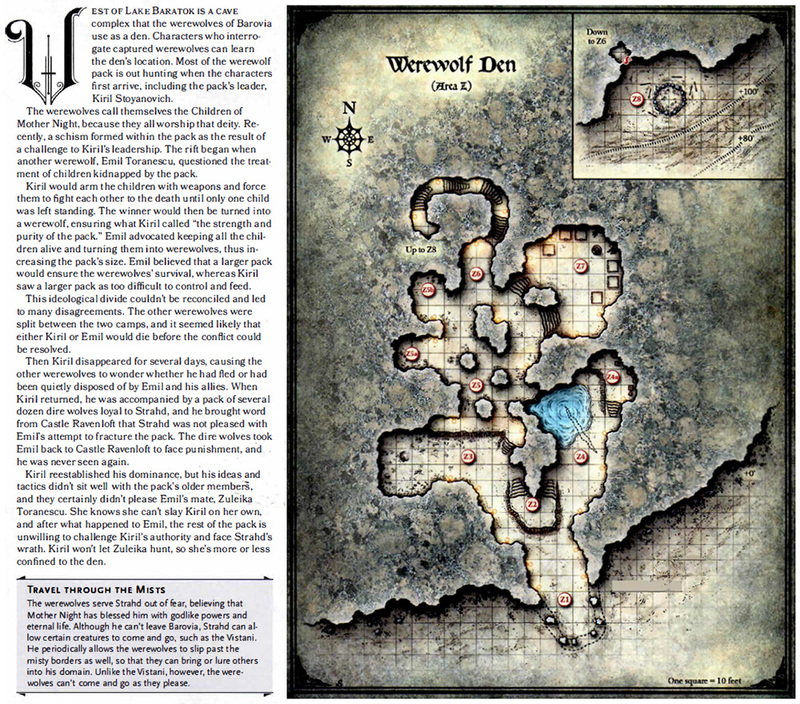 Despite the obvious desire to do well and some hard work we can't deny (282 pages in total ! ), the final rendering is far -very, very far- from being up to the expectation... 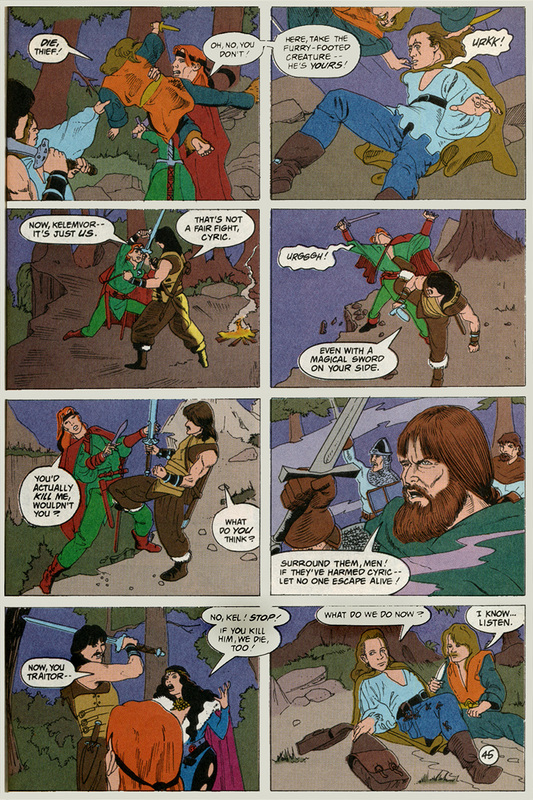 It's really a shame as the story adapted here depicts one of the best epic moment that forged the history of the Realms... Now, it remains a viable materials source... but kinda a fail that marks the ending of the DC era within the D&D comics history. 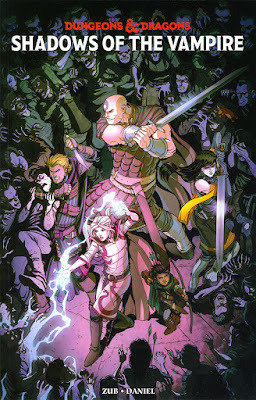 This will be a 5 issues series, all written by author Jim Zub. 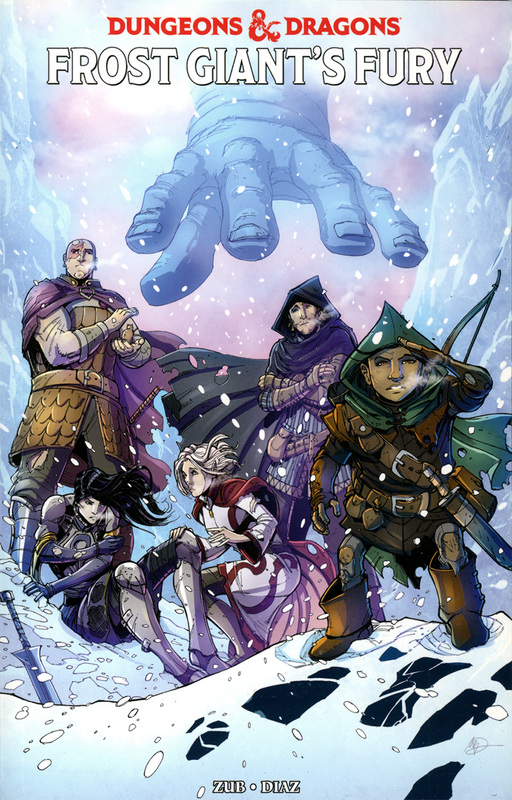 But, contrary to the previous ones, this time each issue contains a short story focusing on one (or two) character(s) with different team of artists working on each. 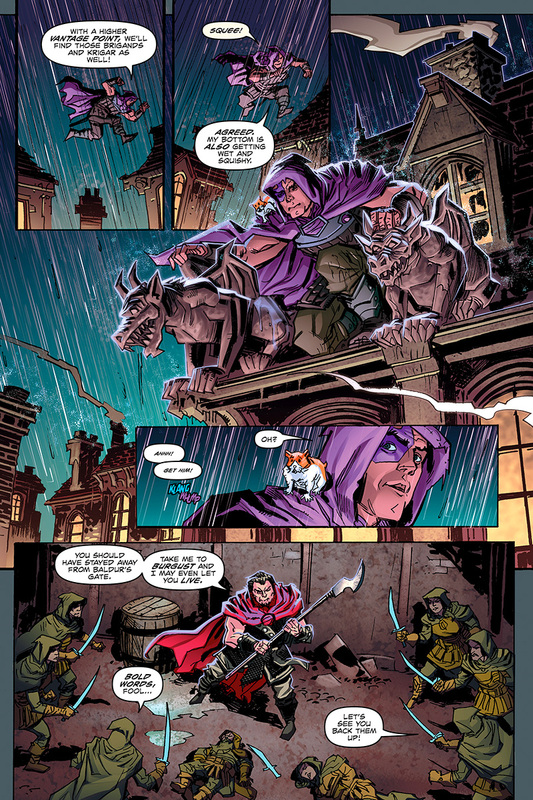 Art by Dean Kotz, colors by Stefani Rennee and lettering done by Neil Uyetake. 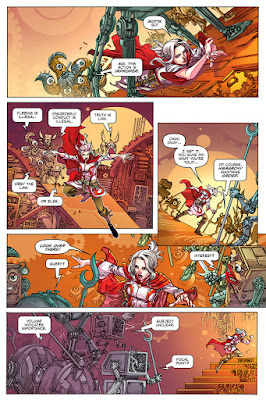 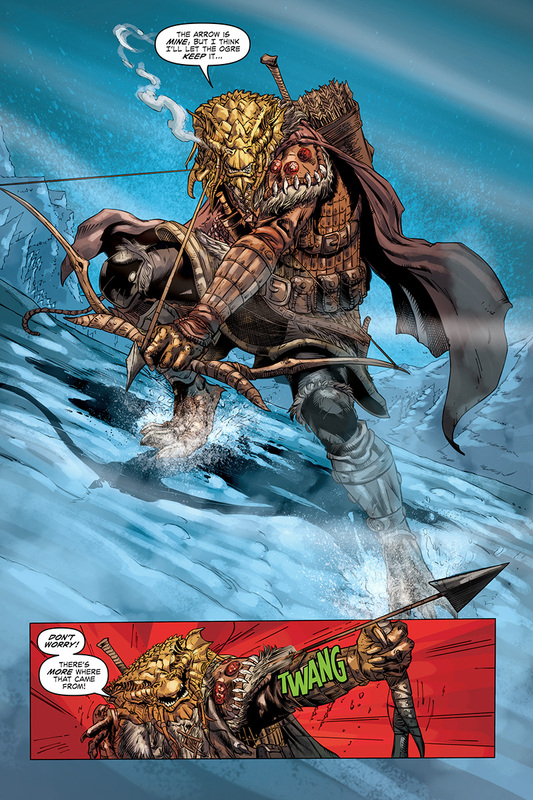 Art by Steven Cummings, inks by John Wycough, colors by Jordy Escuin and letters by Neil Uyetake. 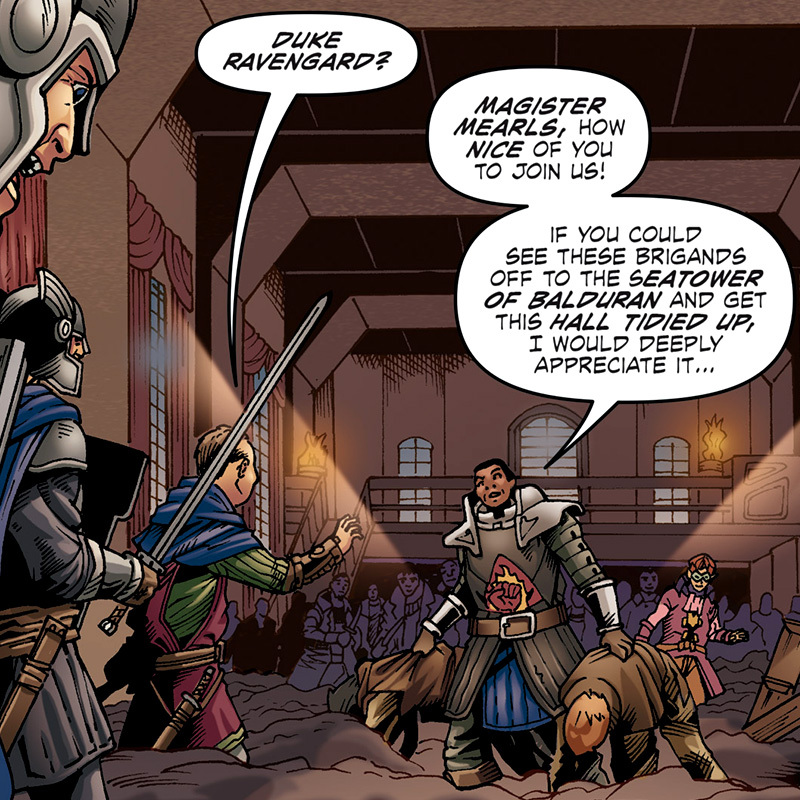 Note that at the end of this short story we have the discreet appearance of a certain Magister Mearls. 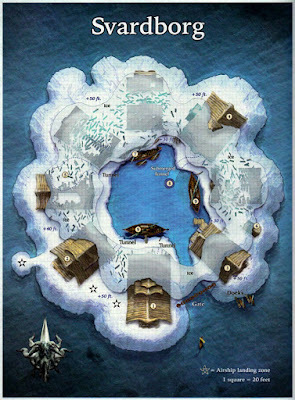 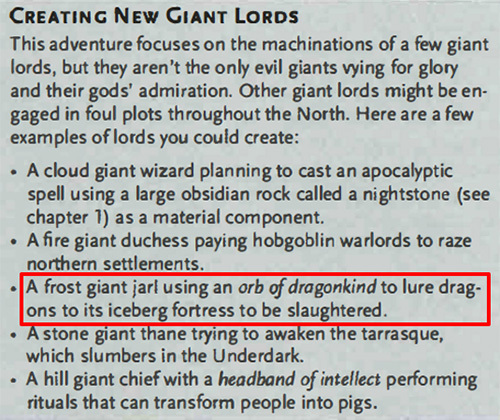 It seems more than obvious it's a wink to Mike Mearls, senior manager of the D&D research and design team. 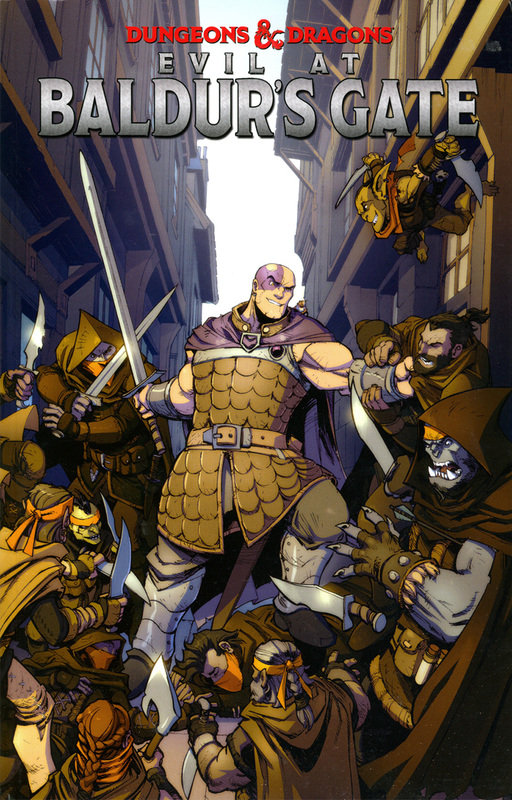 He's credited in Murder in Baldur's Gate campaign guide as D&D Group Manager and we know that Jim Zub did use materials from this module before. 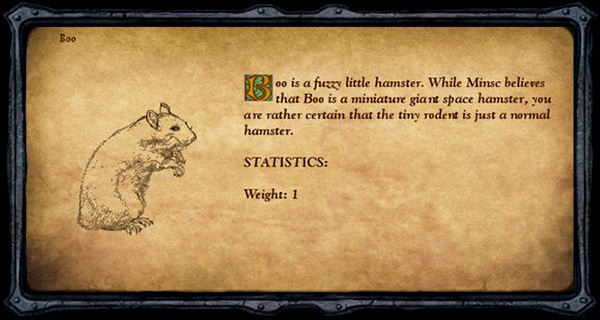 (cf Legends of Baldur's Gate). 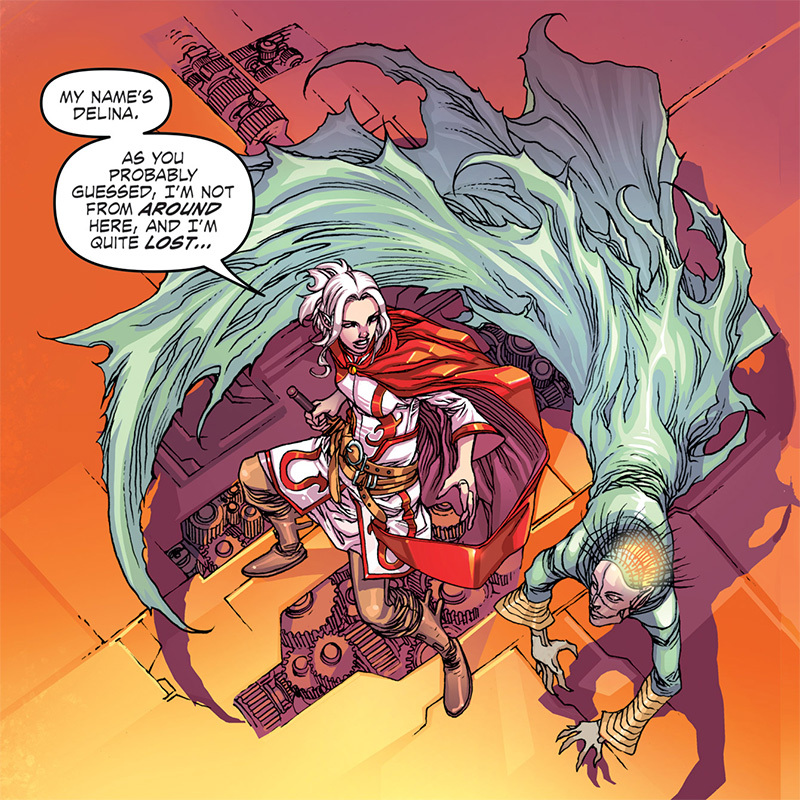 If Jim Zub gives us here a very nice and interesting background of one of his characters, I am personally a bit troubled on Cummings' art, especially on the characters' faces as they're not very recognizable in regards of the previous issues. 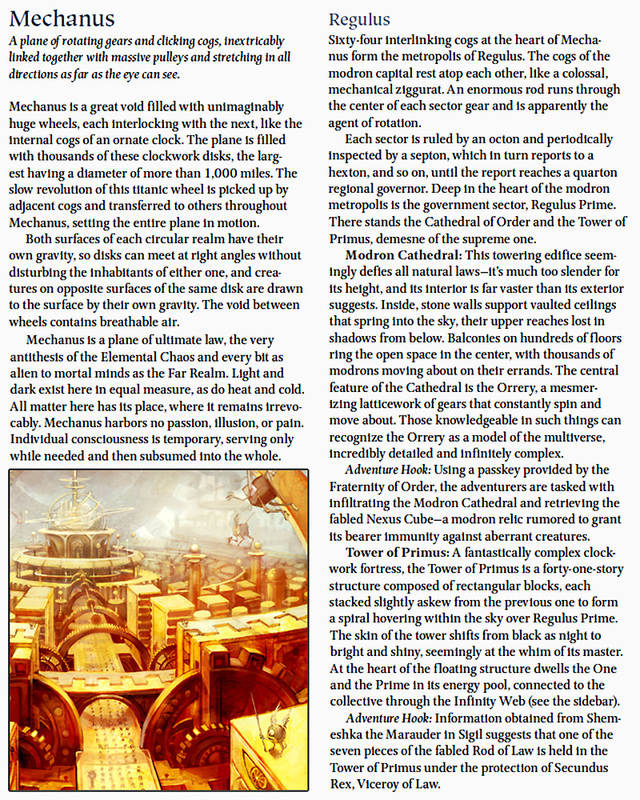 On the other hand, we have some great smoke and light effects here and there which make the whole a still pretty nice-to-read issue. 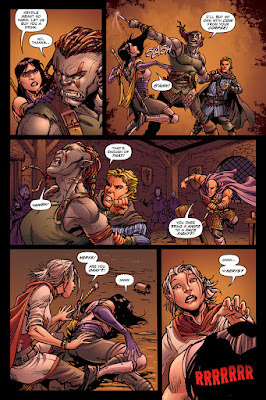 Part Three : Delina in "Wild Ways"
Art by Harvey Tolibao, colors by Juan Manuel Rodriquez and letters by Neil Uyetake. 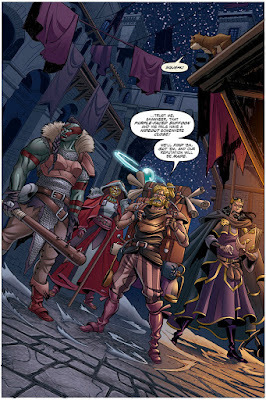 This is a very nice issue Jim Zub & Harvey Tolibao offered us here, as much in the telling as in the art. 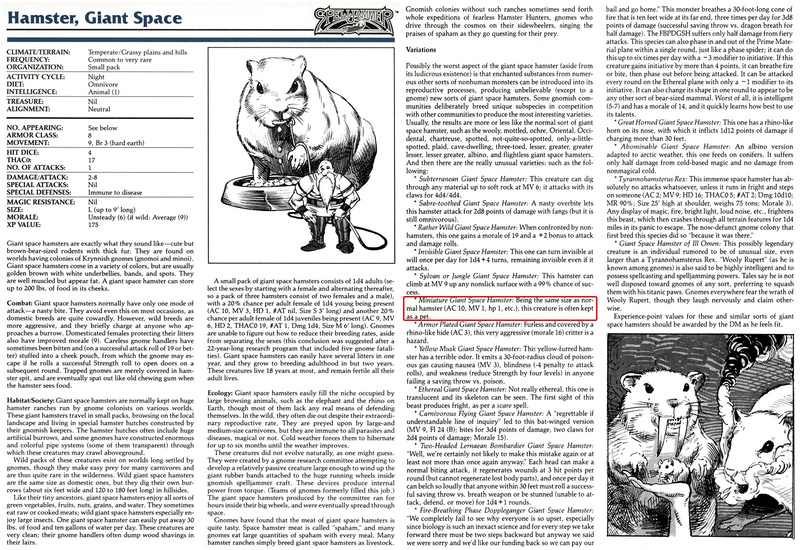 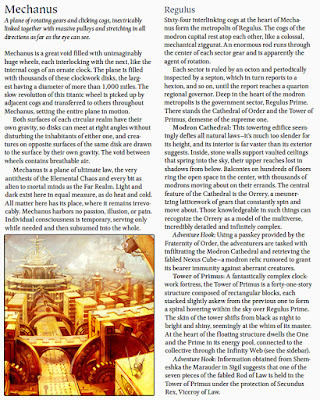 We somehow find here the same oddness and inexorability that can only be found in Planescape's worlds in some sort of echo of the 1996 comic The Unity of the Ring. Art by Ramon Bachs, colors by Jordy Escuin and letters by Shawn Lee. 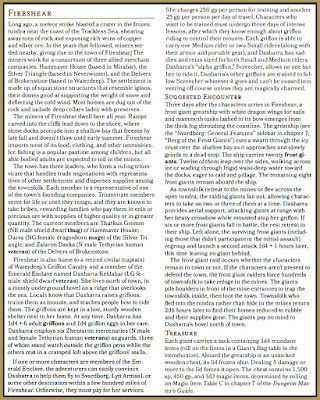 Nice issue where we assist on a somehow surprising and fluent conclusion of Nerys' narrative arc... it is still possible -if another series about these folks is ever published- that some unexpected plot twist may occur afterwards... but this is a story that remains to be told...Ramon Bachs' art is very pleasant and once again we're given a more-than-decent piece of work here. Art by Francesco Mortarino, colors by Jordy Escuin and letters by Neil Uyetake. 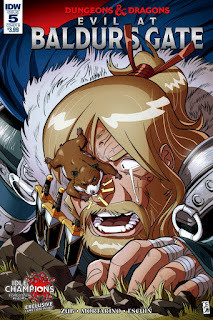 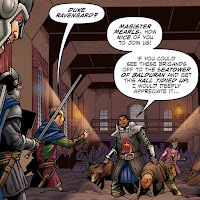 This last issue of Evil at Baldur's Gate is without any doubt the funiest of the whole series. 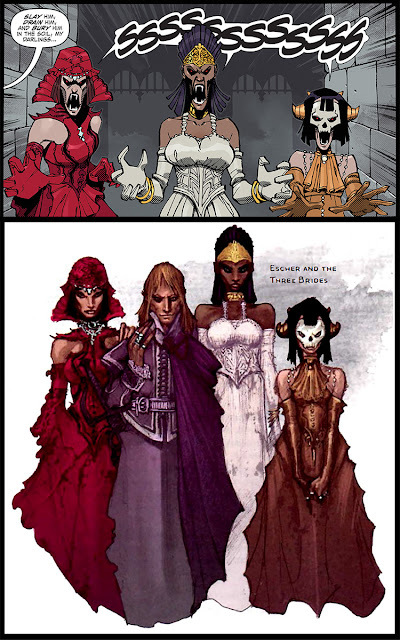 Franscesco Mortarino's art fits totally the spirit of the narrative, his style -especially on the characters faces- reminding me of Monkey Punch's works (Lupin III). 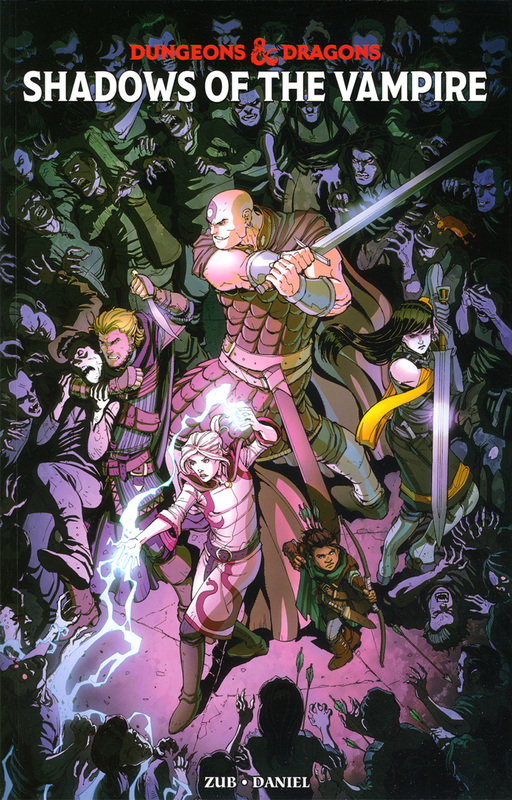 As for the 2 previous series, author Jim Zub is in charge of the writing. 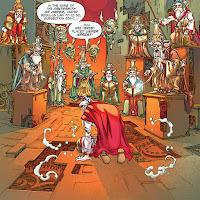 This time he associates with artist Netho Diaz. 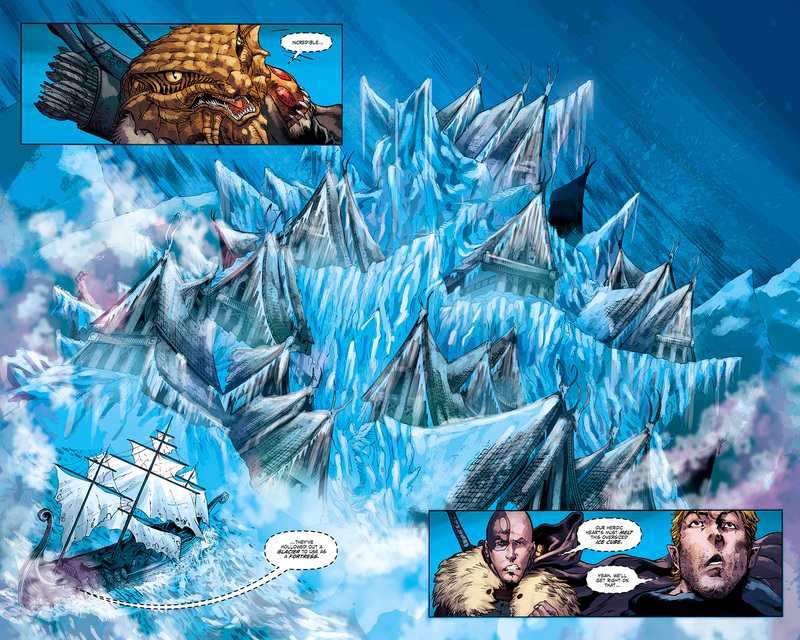 The coloring will be done by Thiago Ribeiro and Milen Parvanov while the inking will be by Glauber Matos and J.B. Neto. 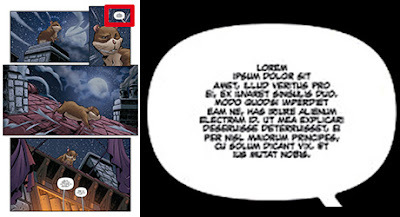 And as usual, Neil Uyetake will be in charge of the lettering and collection design. 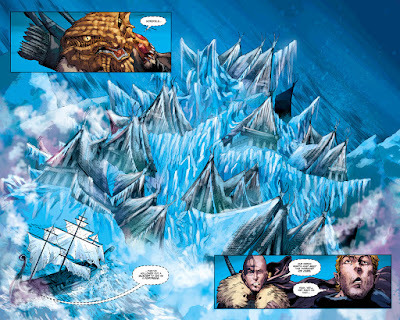 We find our heroes caught in a snowstorm, lost somewhere in the middle of the Frozenfar, west-northen region of the Spine of the World. 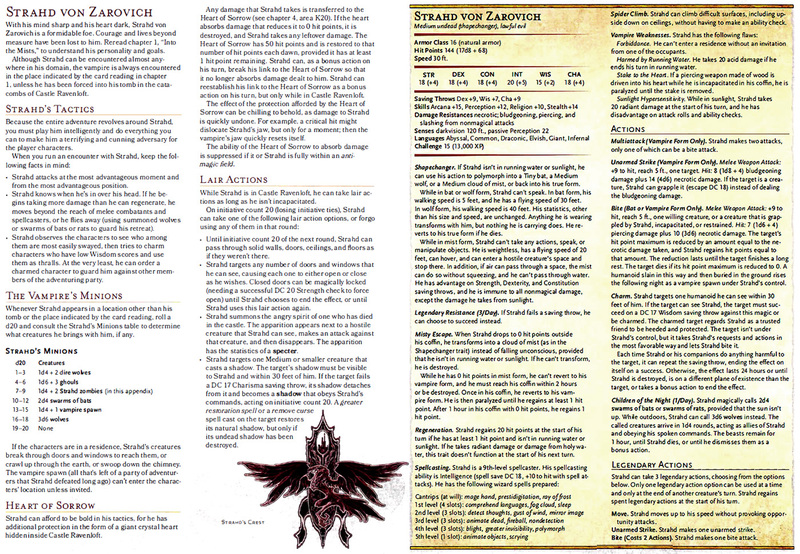 Badly injured after their battle against the master vampire Strahd, they find refuge in a cave. But soon, their shelter is discovered by a group of ogres passing by that they will have to confront. 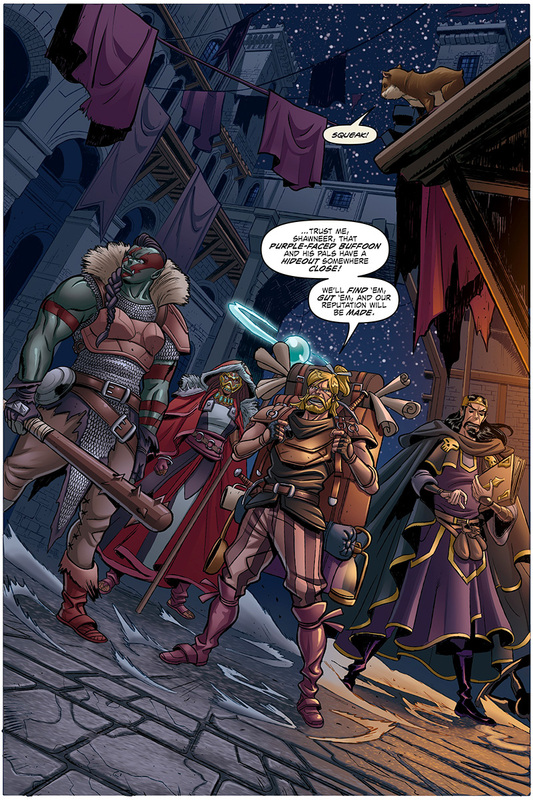 Hopefully for our bunch of broken adventurers, they'll be helped in their fight by a certain Saarvin, a scout dragonborn that will then lead them to the mining city of Fireshear. 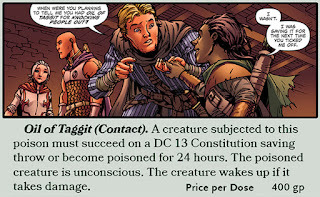 And from there it becomes obvious Jim Zub once again based his story on the WotC's module issued for the eponymous ongoing event. 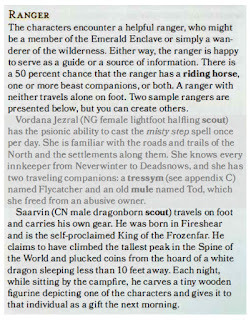 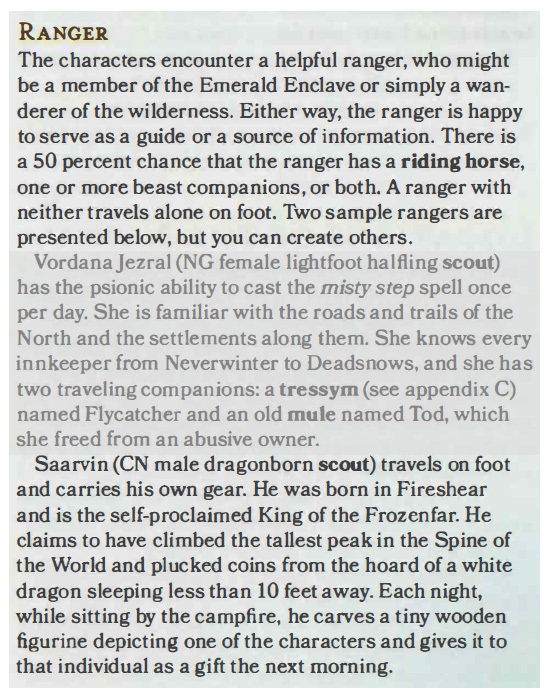 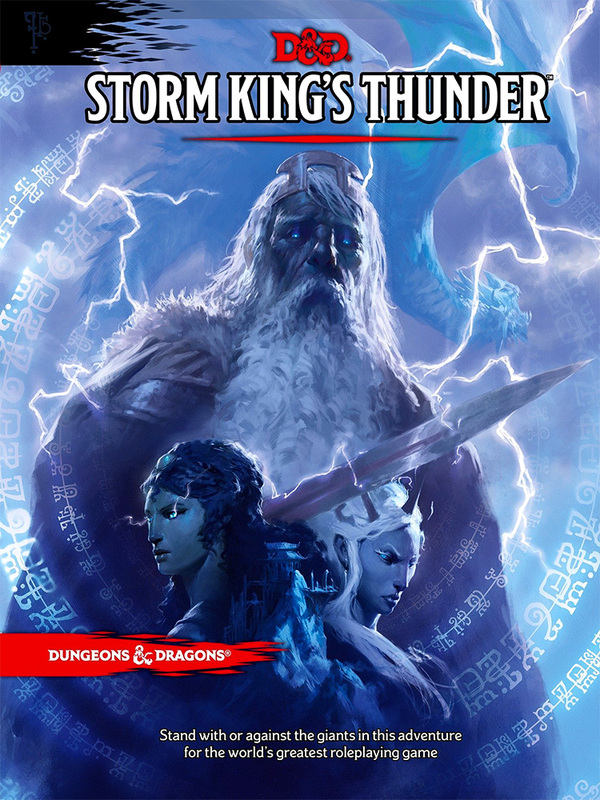 Saarvin is a character that appears briefly in the Storm King's Thunder module as a random wilderness encounter proposal (cf pict below). 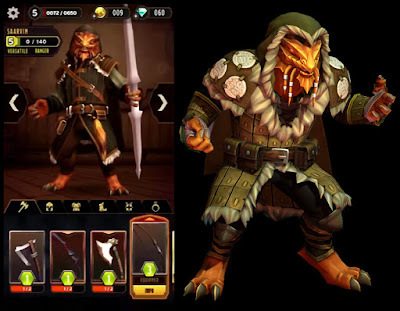 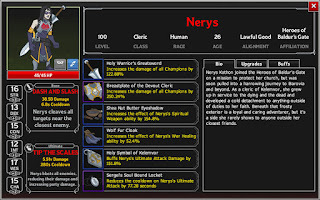 But, even if he has just a few lines describing him there, he will be added as a playable character in the upcoming and still work-in-progress android game : Warriors of Waterdeep by Ludia. 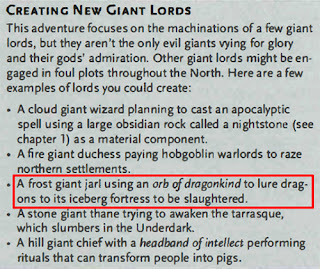 The raiding giants' leader is a certain Lord Gryttmort who's heading to a peak named Cold Crag willing to reach Licanthe's secret lair in order to seize a Dragon Orb. 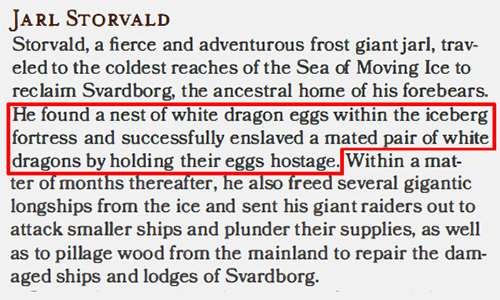 This artifact would allow him to get control on dragons and then to get the power to overthrow Storvald and take his place as a Jarl (and conquer the rest of the North from there...). 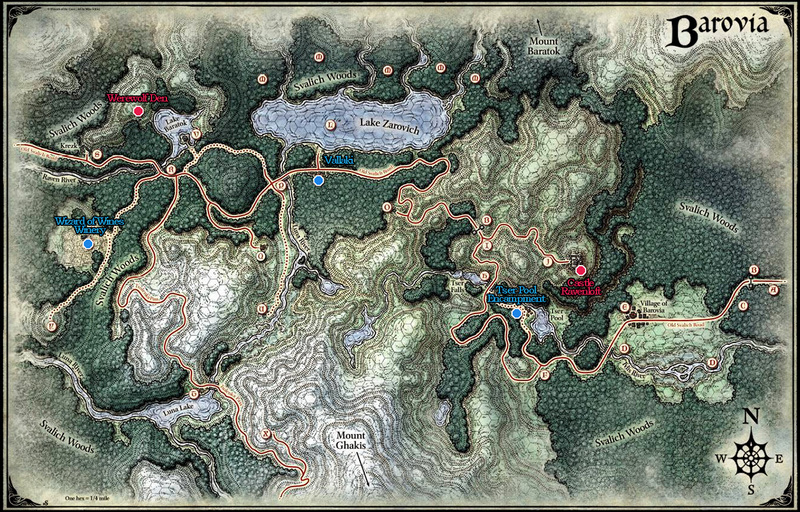 To have Licanthe obey him and extort the hidden lair's location, he took the dragon's eggs in hostage. 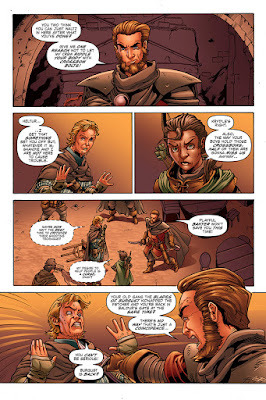 This is an interesting scenario Jim Zub constructed here as he mixed up different elements of the module. 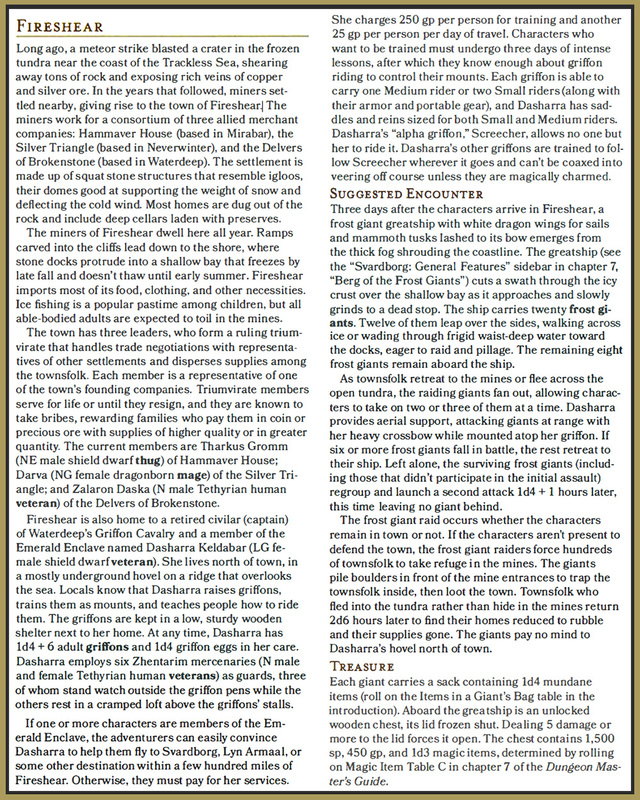 (cf extracts below). 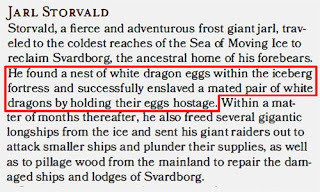 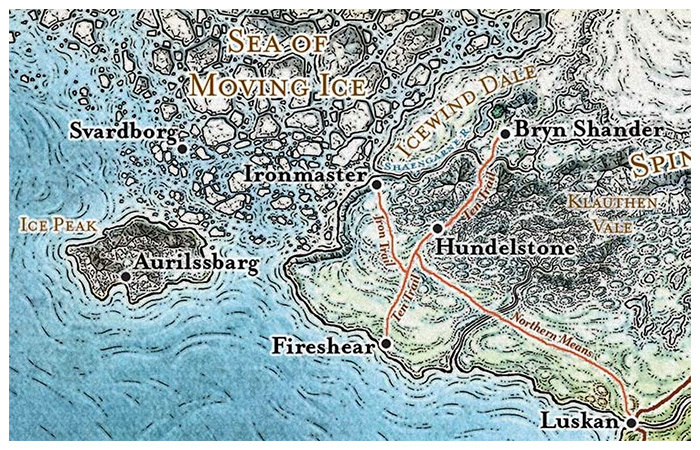 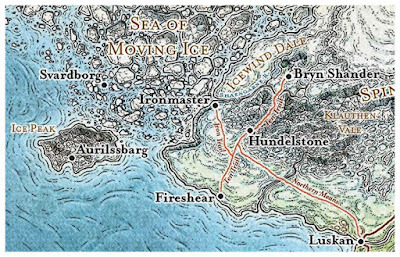 If Jarl Storvald is in the center of the module's plot elements that inspired the comic's narrative, he's replaced here by Gryttmort but however still being evocated once. Jim Zub definitely excels in his put-a-module-in-a-shaker-and-get-a-story processing. 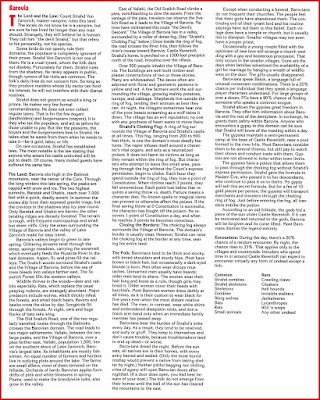 He really has an eye to select the plot elements that will set his narrative up and the talent to bring credibility to his characters via the wide range of emotions they go through. 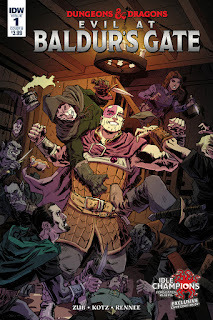 Netho Diaz did an amazing work here, his style fitting perfectly the narration with the use of ruggish lines emphasing the decrepitude of our heroes and the hostile environment they are facing. 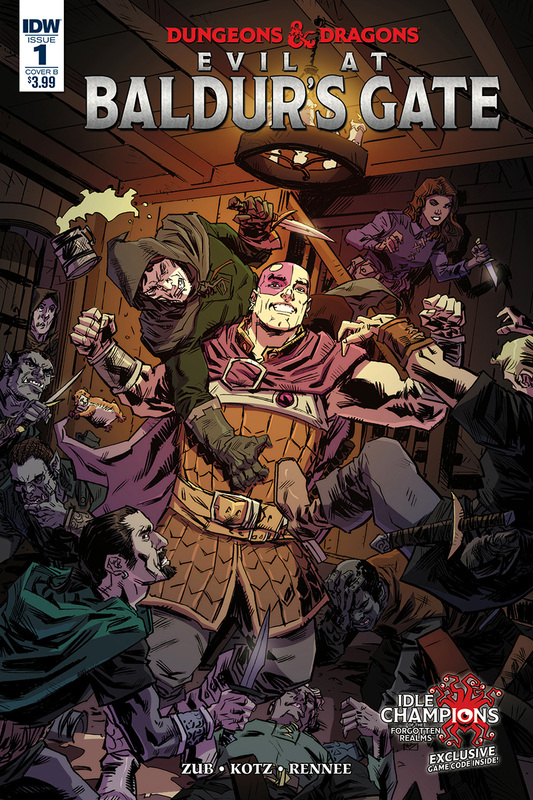 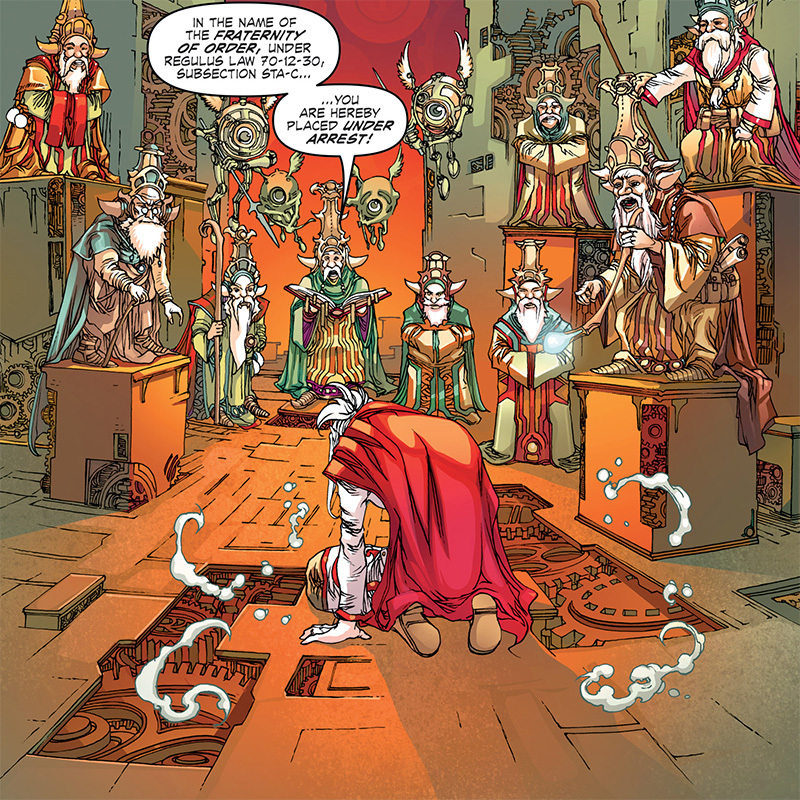 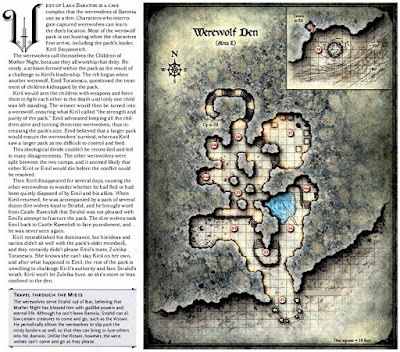 No doubt... within the D&D comics world, IDW rules and we can only hope it will last for long ! 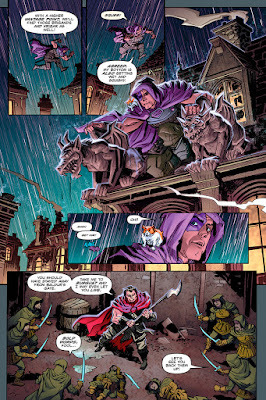 As in the previous series Jim Zub is in charge of the writing. 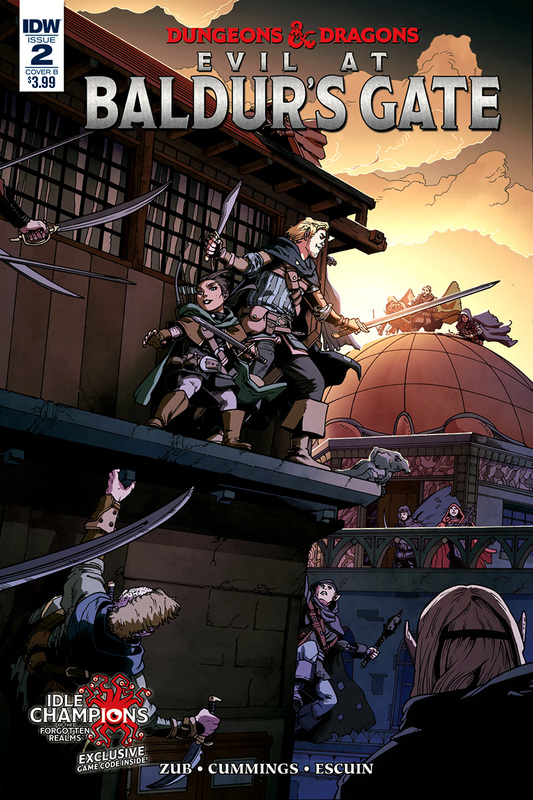 The art will be fully done (coloring included) by Nelson Daniel. 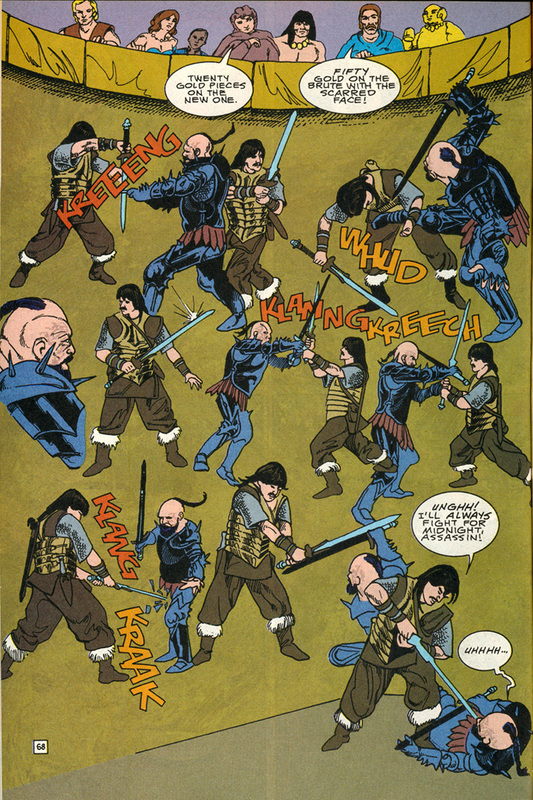 Neil Uyetake will remain in charge of the lettering and collection design. 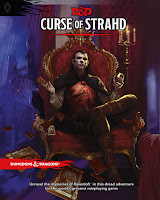 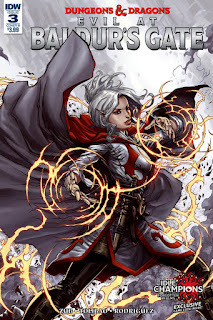 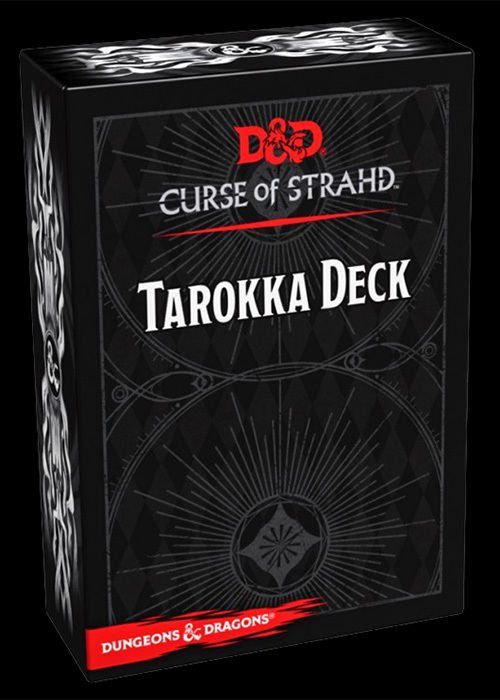 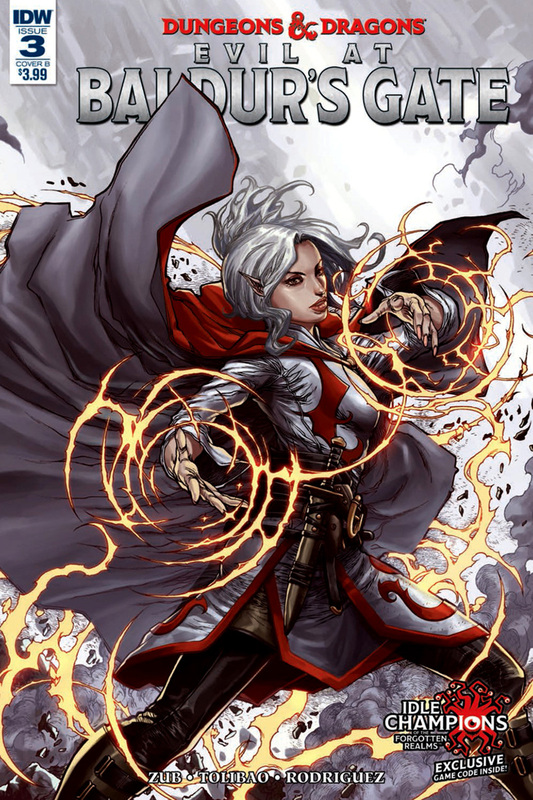 Regarding the storyline of this mini-series, it's obvious Jim Zub and Nelson Daniel used the Curse of Strahd module (WotC, march 2016), issued during the eponymous event, as their main source of inspiration, and that for both plot's intrigues and illustration designs. 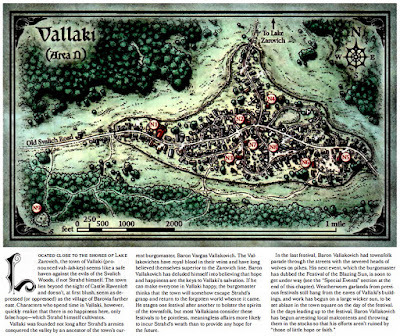 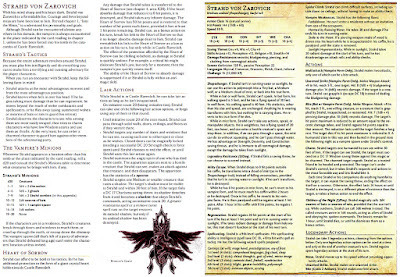 Curse of Strahd's adventure is kinda an enhanced and enriched remake of TSR 1983's D&D adventure : Ravenloft (I6) where Barovia was first ever mentioned. 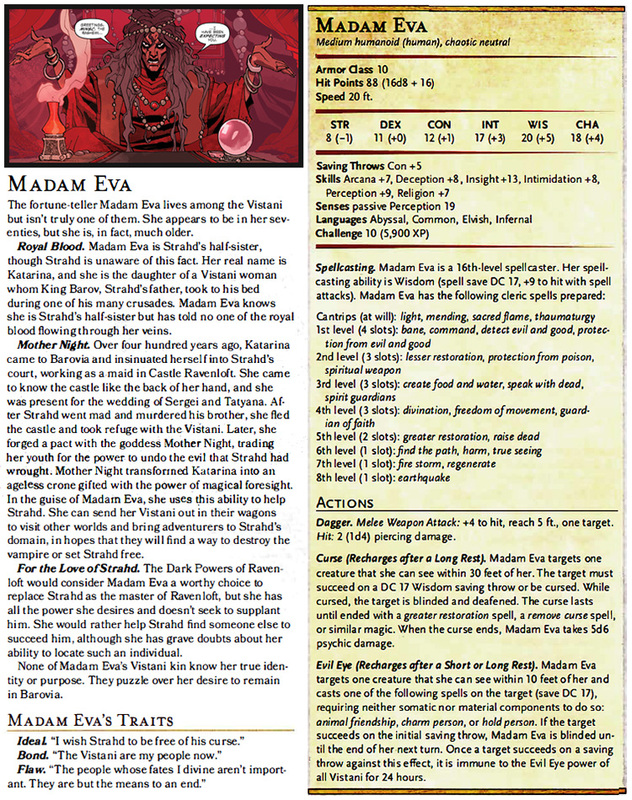 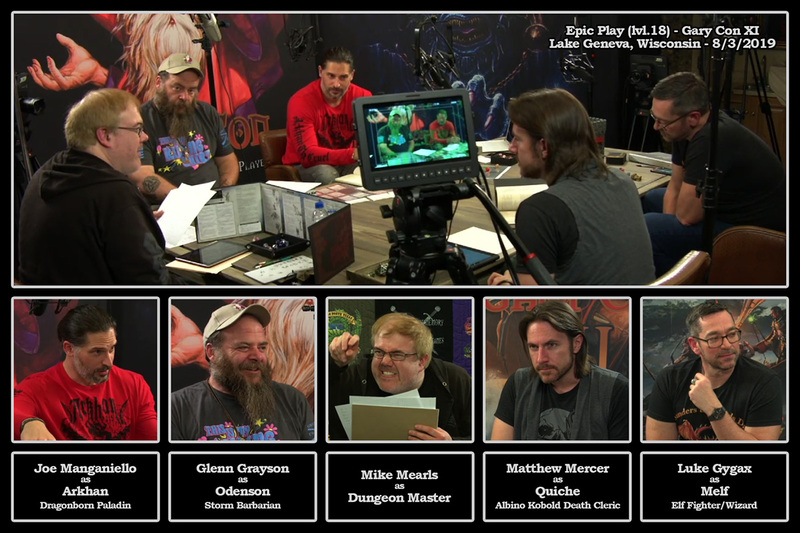 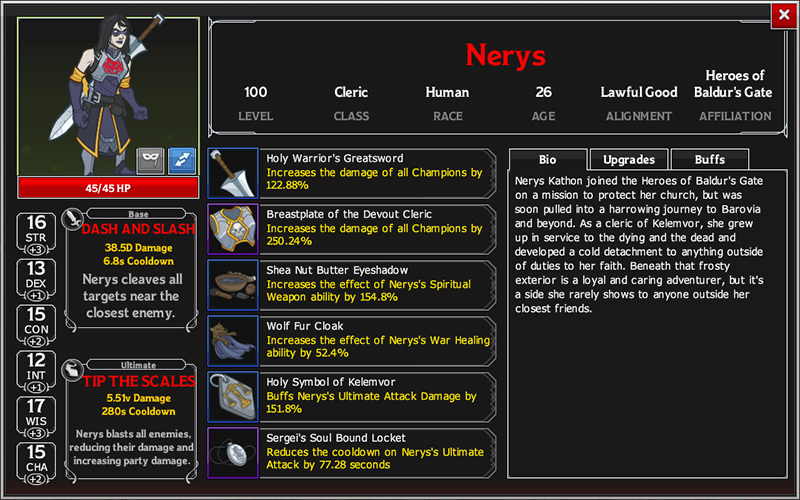 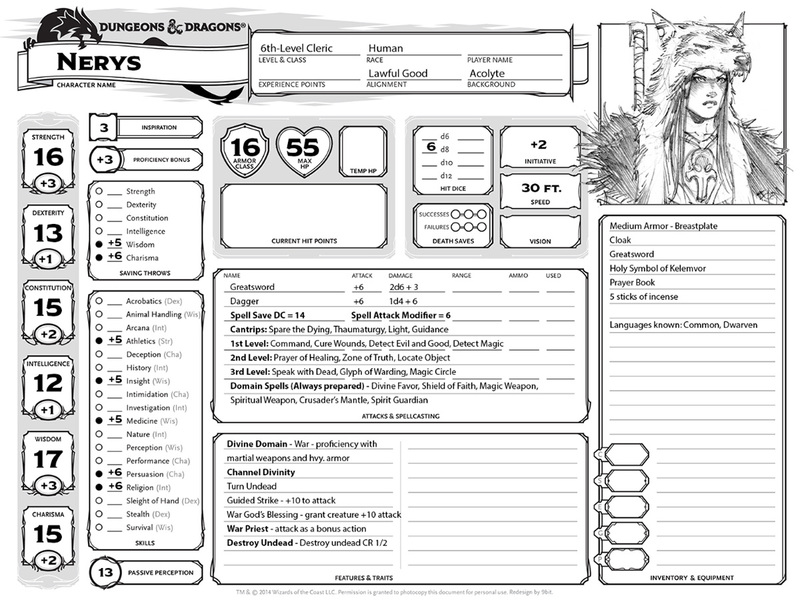 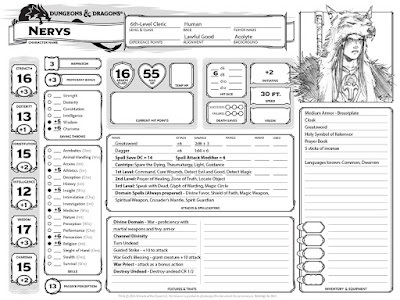 Madam Eva is there the first named NPC the party encounters. 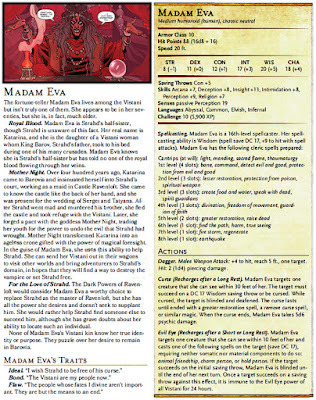 She's a major character in the domain of Barovia as, apart from being a powerful medium and fortune-teller, she appears to be Strahd's half-sister. 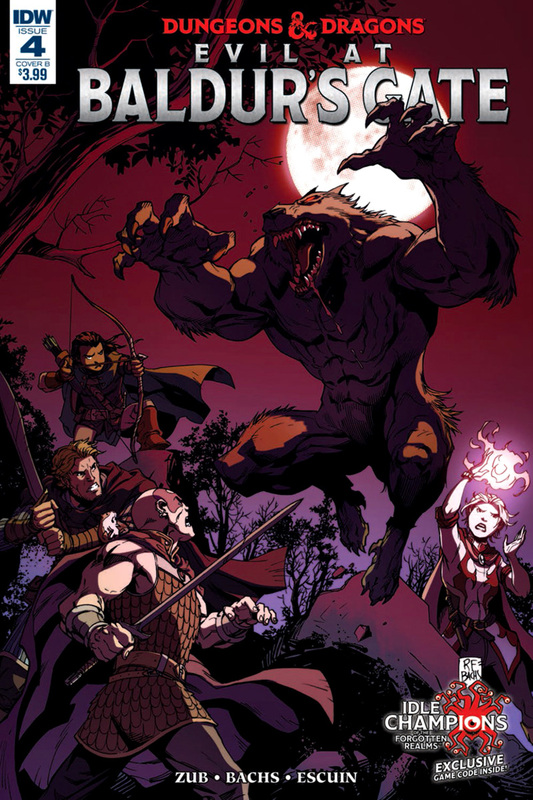 After that, Sangin will pay a visit to his former comrades at their home, the Werewolf Den. There we'll witness the confrontation of Dron & Utna with their pack leader, Kiril Stoyanovich after the fail of their escaping attempt. As there is an exception to every rule, Kiril is drawn by Daniel as bearded and bald-headed while he has black thick hair in the module's illustration. 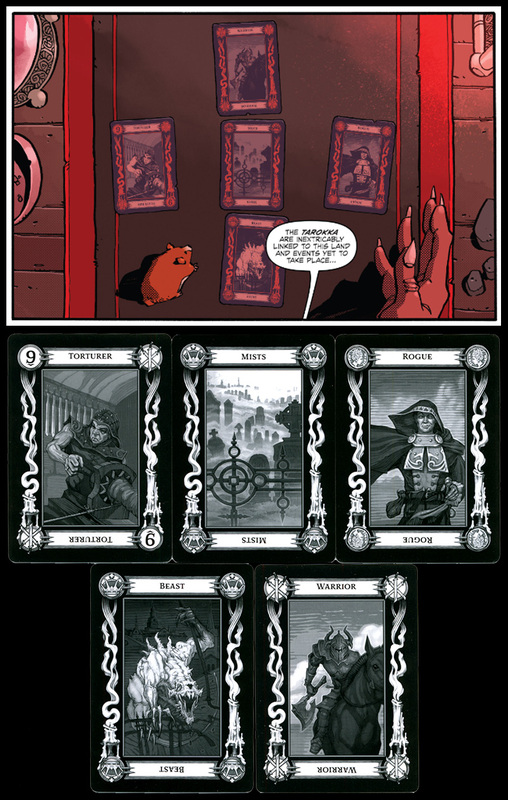 Strahd's background is vaguely and briefly evocated a fisrt time by Sangin wondering if Tatyana (Federovna) could have been the previous owner of the magic necklace. 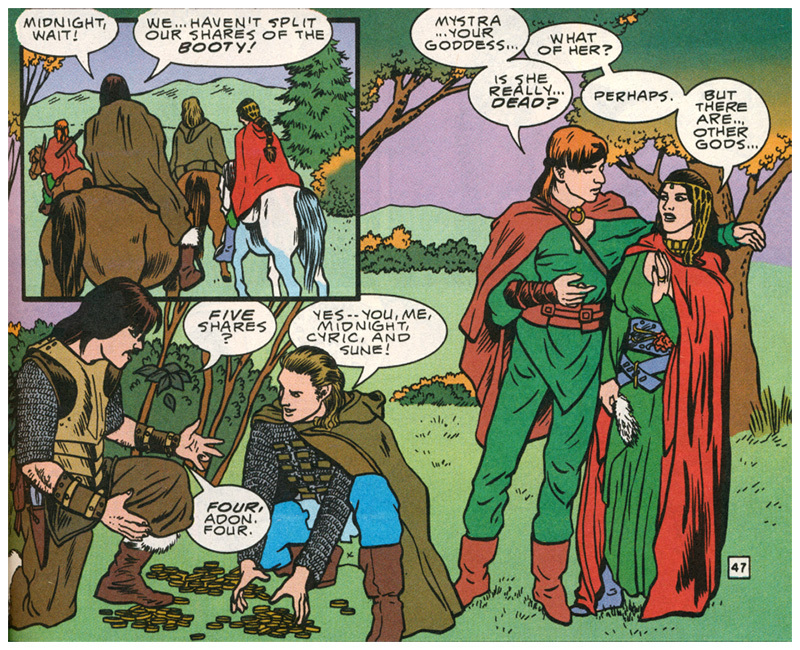 Tatyana was the betrothed of Strahd's younger brother Sergei von Zarovich (who briefly appears as a ghost at the end of the comic - second evocation of Strahd's past). 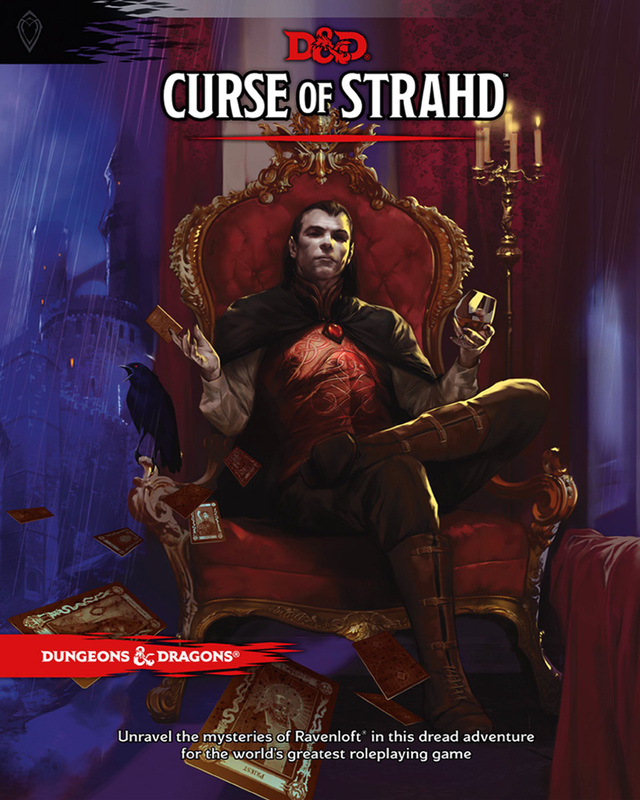 After Strahd murdered Sergei by jealousy (and in order to gain eternal youth via a ritual of the black arts) on what was to be their wedding day, Tatyana, refusing to succumb to the murderer, threw herself off Castle Ravenloft into the chasm below. 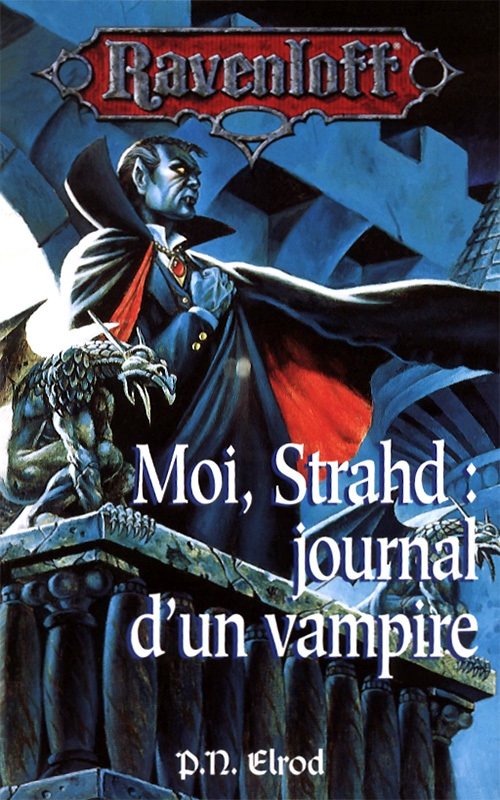 These events, which are at the origins of his curse, are told in the 1993 novel I, Strahd : The Memoirs of a Vampire by P.N.Elrod. 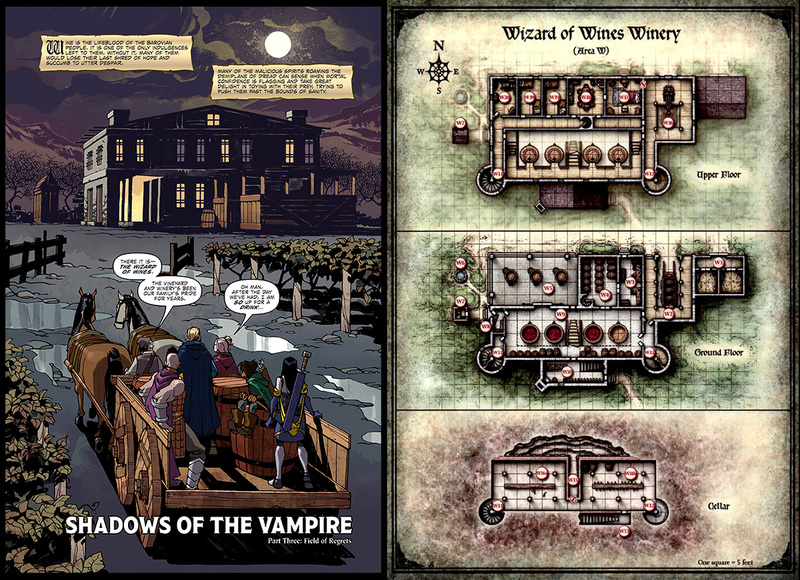 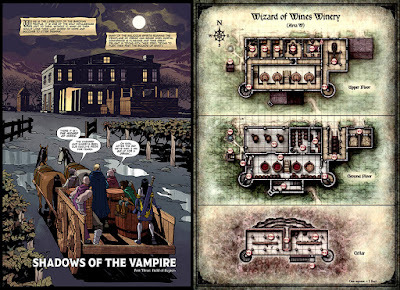 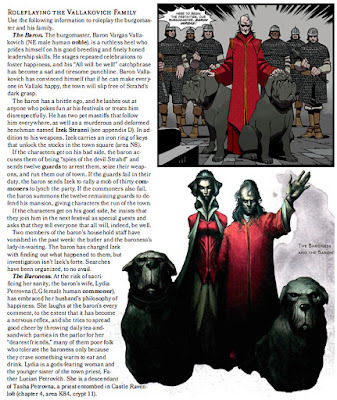 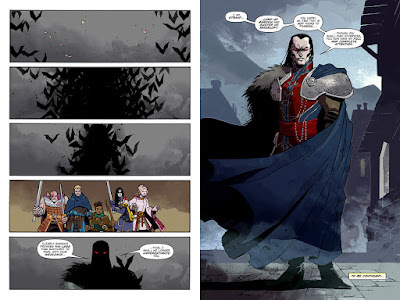 Using the most recent Ravenloft materials as bedrock of their work, Jim Zub and Nelson Daniel offer here a great, coherent and, as we saw, very documented story. 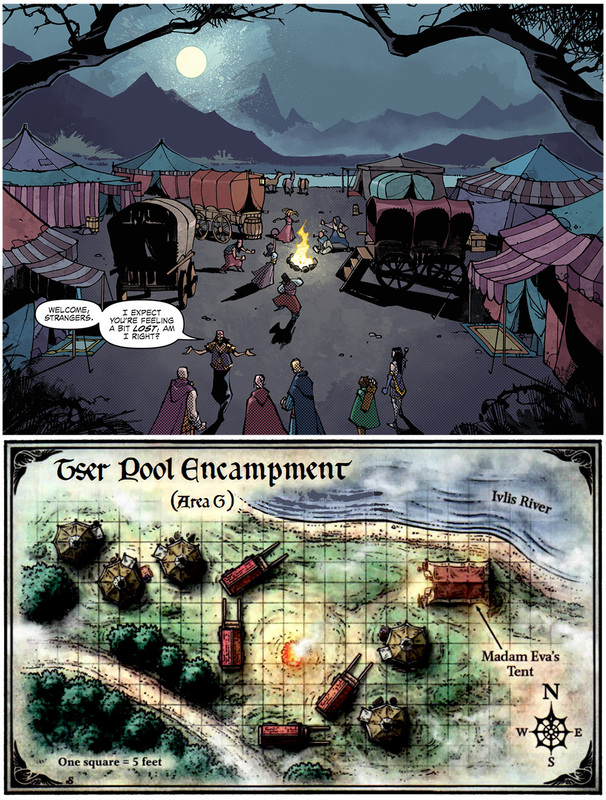 The more time our adventurers spend in the Demiplane of Dread, the more desperate they become. 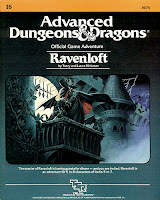 Ravenloft is a dark gothic setting where hope, faith and good feelings don't belong. Far from the comedy tone of the first series, we're experiencing here the pangs of the tragedy. It's only the second time a comic is set in Ravenloft in the whole D&D comics history (the other one being the short-story The Rigor of the Game from the Worlds of Dungeons & Dragons collection by DDP). And once again it worked like a charm. 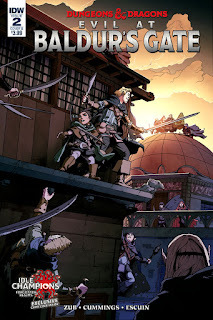 N.Daniel successfully followed up the work of Max Dunbar, respecting what his predecessor implemented and did great bringing the visual despair this narrative needed. 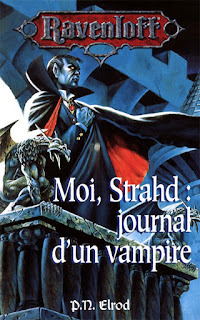 Note that, for some reason, the first issue of Shadows of the Vampire as well as the TPB version contain the Tyranny of Dragons short story that was previously released online on WOTC website.